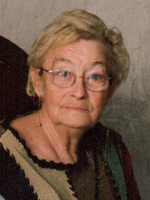 ALBANY – Mary Louise Wren Horick, 76, of Albany, passed away on Monday, November 7, 2016. Mary Louise was born in Mississippi, but lived in the Albany area most of her life. She was employed by the State University at Albany for many years. Mary Louise is survived by her children Ronald C. Horick, Jr., Robert Horick, Michael O’Dell, and Paul O’Dell; her brothers Walter, James, and Paul Wren; her grandson Robert Aubrey, Jr., and by several other grandchildren. She was predeceased by her sons Richard M. Horick and Richard O’Dell, and by her brother Robert Wren. Funeral services will be held in the Hans Funeral Home, 1088 Western Ave., Albany, Thursday evening at 6:30 pm. Relatives and friends are invited, and may call at the funeral home Thursday from 4:30-6:30 pm. Interment will be in Our Lady of Angels Cemetery at a later date. To leave a message of condolence for the family or obtain directions to the funeral home, please visit www.HansFuneralHome.com.